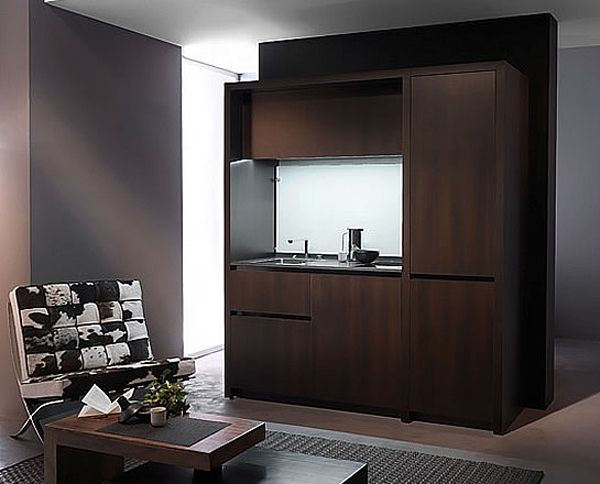 Kitchoo specialize in making compact integrated kitchens that look like a stylish piece of furniture rather than an all-purpose kitchen item. 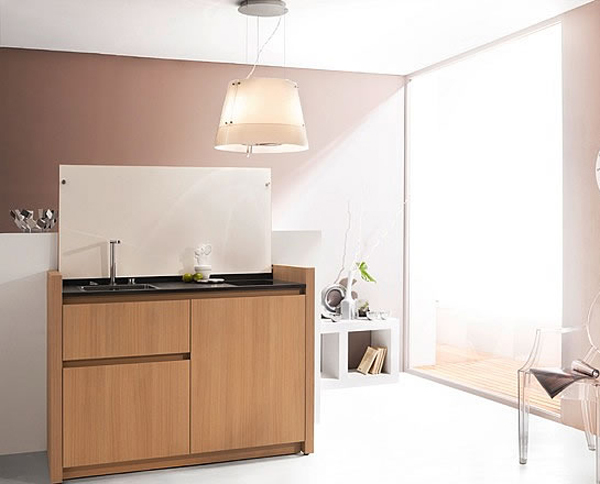 Kitchoo compact kitchens include everything or almost everything that a kitchen requires from a refrigerator to hot plates. 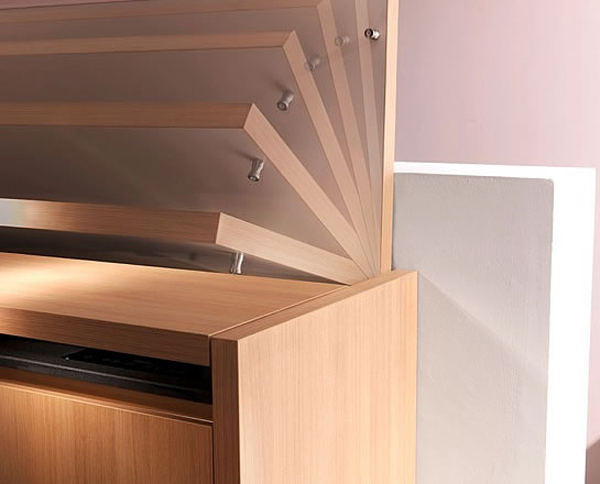 Once you finish all the kitchen chores it folds and closes hiding away all the dishes, produce and sinks and appears as a sleek modern furniture piece like a cabinet or a cupboard. 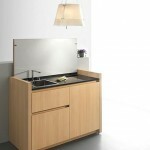 Perfect solution for small-spaced kitchens and even offices. 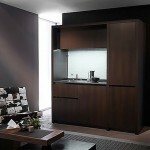 Kitchoo kitchens are made of wood and come in various finishes. 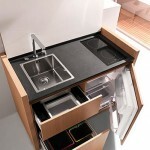 Kitchen K1 is a small integrated kitchen that includes a fridge, a sink, a dishwasher, and two hot plates. 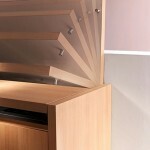 The hood provides a smooth surface that can be easily used as a regular desk or a side table. Once there is need for cooking the hood opens and reveals all the required things. 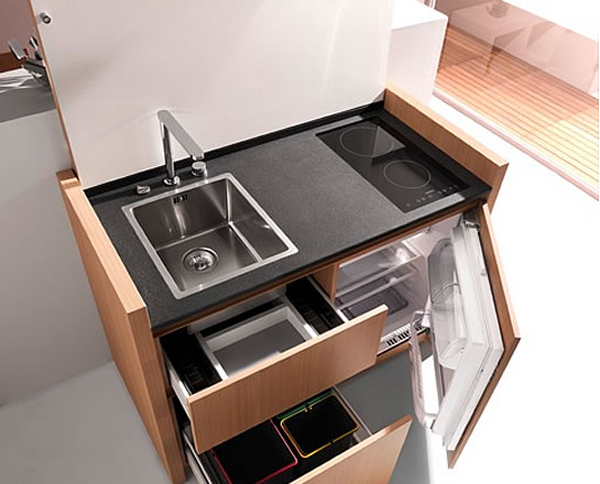 Other compact kitchens by Kitchoo look more like kitchens as the sink is not hidden like the built-in fridge and dishwashers. The bigger kitchens resemble cupboards providing space for a microwave and a dish rack. Kitchen K1 also comes in an office version without the hot plates offering all the other kitchen features that can be required in the office. 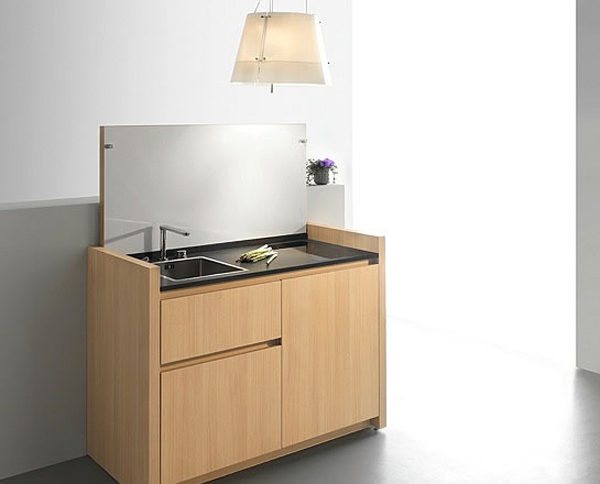 A compact kitchen is a great space saver. 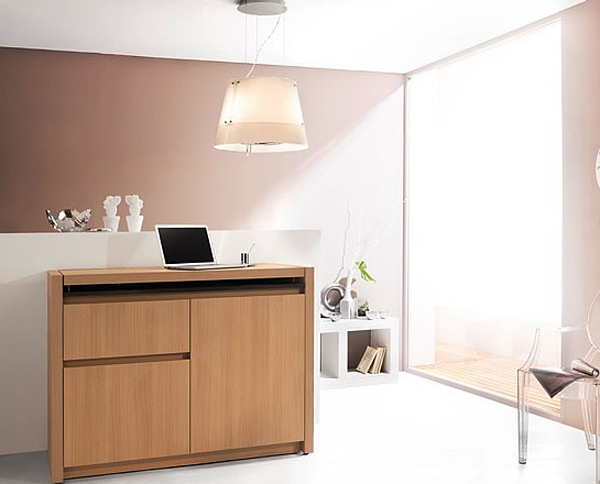 An integrated kitchen console looks stylish and even can be multipurpose as seen in Kitchen K1. What is the price for the Kitchoo compact kitchen?